Our mission is to provide you with the highest quality of professional, reliable, and safe tree care. Our company has over 25 years of experience. 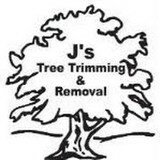 As your yard friendly tree service, J's Tree Trimming and Removal has the expertise to help keep your property safe, by using rubber track machines to prevent damages to your lawn. We are fully insured, passionate about our work, and customer satisfaction is our number one goal. Proper tree care is an investment that can lead to substantial returns. Trees add beauty and environmental balance to any landscape. Well cared-for trees are attractive and can add considerable value to your property. Poorly maintained trees can be a significant liability. To protect your trees, it is important to hire a qualified professional. 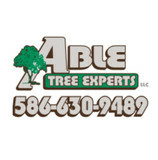 Able Tree Experts is a second generation company proudly serving south eastern Michigan residents for over 30 years in areas including but not limited to Oakland and Macomb counties, based out of Shelby Township. Here at Able Tree Experts we are dedicated to 100% customer satisfaction, and it shows through our superior workmanship and cleanup abilities, as well as a laundry list of references to back it all up. Although our qualified and knowledgeable staff give professional and reliable advice. Having the trees on your property trimmed up to perfection differ from person to person, we want your trees trimmed the way you want and expect them to. Here at Able Tree Experts we arrange have homeowner or decision maker present on every trim job to ensure absolute satisfaction and avoid any confusion. This direct line of communication makes a world of difference when having your trees shaped or trimmed. Our crews are equipped with the most recent state-of-the-art equipment available, ensuring both safety of our workers and the most professional and affordable service possible. All equipment bears low ground pressure and is designed specifically for the tree care industry. We use a 75' aerial truck as well as a 100' boom truck for dangerous and hard to get to removals, which cuts down on operator fatigue and cares for the well being of your landscape. 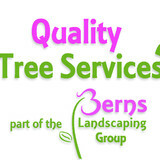 Quality Tree Services is part of the Berns Landscaping Group. We offer tree trimming, Consultation & Hazard Evaluations, Tree Removal, Stump Grinding, Fertilization, Plant Health Care, General Tree Surgeries, Emergency Tree Care, Tree Planting, Electrical Line Clearance, Complete Clean-up. Shepherd's Landscape & Tree Service has serviced the Southeast Michigan since 1990. Shepherd's is a full service landscape company specializing in routine and complicated tree removal and trimming services. In addition, offering a multitude of landscape beautification services including design consultation, patios, retaining and bolder walls, walkways, construction, re-landscaping, gardens, shrubs and commercial snow management services. Servicing both commercial and residential, Shepherd's maintains a professional, efficient and experienced crew that utilizes state of the art equipment to meet your needs. Founded in 1993 We are a family owned business.The Coffman family has a very rich history in the tree care industry spanning four generations and dating back to the early 1900s. We are fully insured carrying Workers Comp. and Liability insurance. Honesty,Integrity and old fashioned work ethic are the standards we strongly adhere to. When you need outstanding tree services from a family-owned business with your best interests at heart, rely on Hoskin's Tree Service. From 24/7 service to the best equipment for all kinds of commercial and residential jobs, your satisfaction is our top priority. When you choose Hoskin's Tree Service, you'll work with a friendly staff that respects your property. We've had no complaints or insurance claims in over 40 years of business. That's a track record you can put your trust in. 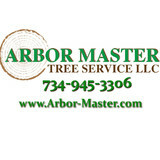 The best tree service in the Metro Detroit Area. We service all of Metro Detroit with Emergency Tree Service, Tree Removal, Tree Trimming, Stump Removal, Lot Clearing, etc... Give us a call today for a no obligation quote on your next project. Alliance Property Management is a full service property management organization providing a full line of services to Commercial Businesses, Residential Homeowners, and Investment Property Owners. We provide: •Commercial and Residential Services •Absentee Property Management •Investment/Rental Property Management •Investment/Rental Property Refresh Services •Senior Transition Services Alliance Property Management is a family owned and operated business located in Fenton, Michigan. Our service area is Oakland, Genesee, and Livingston counties. We care about our clients and our client’s properties. Customer Satisfaction is our number one metric. Alliance Property Management is in it’s 16th year of operation and is fully insured and bonded. We provide you with the peace of mind of safe and reliable service. PROVIDING INTELLIGENT TREE CARE FOR OVER 20 YEARS Andrew Tree Service is a fully licensed and insured provider of tree services to residential, commercial and municipal clients throughout SE Michigan. How We Can Help You As a family-owned and operated company we offer superior customer service and genuine care for our client's property and safety. Our skilled and knowledgeable crew along with our tools and equipment allow us to complete projects professionally, safely and efficiently. Our tree experts have experience following the guidelines of the ISA (International Society of Arboriculture), which sets the standards in tree care. Premier Tree Care is a full service landscape company that provides you with fast, reliable, affordable tree service and our commitment to your satisfaction. We specialize in dangerous and hazardous tree removal, trimming, stump grinding, and even lawn fertilization. We will go where other tree cutting services won't. Our goal has always been and will continue to be providing you with a landscape that you can be proud of. With over 15 years of quality tree experience, we ensure that ALL of our customers are provided with outstanding tree cutting services. When it comes to tree trimming, planting, removing, installation or firewood, why would you trust anyone other than an arborist? The quality of the trees on your property, their lifespan and the look of your yard are all dependent on the knowledge and expertise of the person you trust to service them. At PPM Tree Service and Arbor Care, of Livonia, Michigan, you get just that - a trained and knowledgeable arborist who cares about the future of your trees. Bryan Dobbs started the business back in 1998 as a one-man lawn care operation. It didn't take long for him to expand the business into snow removal and firewood so he could operate year-round. In 2005, he began doing tree work. Since then, that has developed into his main specialty. His top services include tree trimming, tree care and stump grinding. In 2008, he changed the name to incorporate the tree services and to show that his services reach beyond lawn maintenance. Being a certified arborist is what sets him apart from his competition. This means that he has taken the time to learn how to care properly for trees. He understands the different species of trees, can identify them on sight, and has the necessary skills to trim and care for all kinds of trees. Dobbs is also a member of the International Society of Arboriculture (ISA,) where he is able to stay up to date on the newest technology, equipment and trends in the industry. Many do-it-yourself handymen can accomplish tree trimming and remove small tree limbs that have fallen. When the problem is bigger, however, so is the risk. Removing a tree or large branches can be dangerous. It may involve climbing the tree and using heavy equipment to cut the tree stump. Furthermore, if not done correctly with some planning, the tree could end up on your roof, your garage, through a window or on your neighbor’s property. When extensive work is needed, it is best to hire a tree trimming service like PPM Tree Service and Arbor Care, of Livonia, Michigan. The owner has extensive experience and knowledge about trees. He works with a talented staff to get the job done quickly and efficiently. In addition to tree trimming, tree care and stump grinding, they can assess the trees in your yard, devise a maintenance plan, trim the trees to prevent breaking limbs, fertilize the roots to provide a boost of nutrients or place new trees. The owner of the company has over 36 years experience, and oversees all projects so that we make sure trees are removed safely. We have very experienced Tree Climbers that has won national awards in tree climbing and can do the most challenging tree removal tasks. We are truly a high-end tree service company that pride ourselves in our level of expertise, skill & knowledge. We are also very hard working people that will get the job done on time. Your Redford, MI tree service professional or arborist might work in conjunction with another landscape professional to create a seamless landscape design. Here are some related professionals and vendors to complement the work of tree services: Landscape Contractors, Landscape Architects & Landscape Designers, Garden & Landscape Supplies. Find tree service professionals on Houzz. Look in the Professionals section under Redford, MI tree services. You can look through portfolios and read reviews to see what past tree care clients have to say.